Largest social media campaign in Speed Skating history! In the context of our 40. 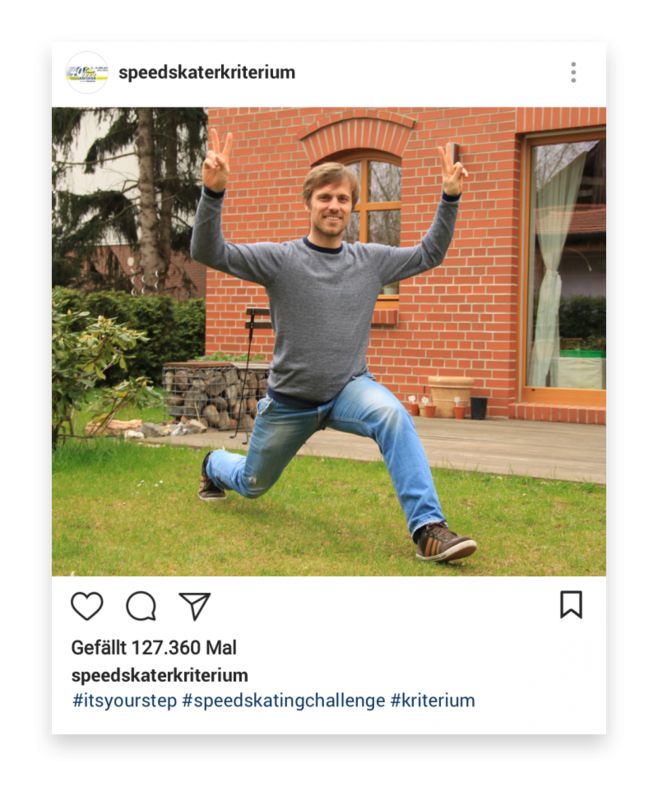 Speedskating Kriterium we launch the largest social media campaign ever seen for our sport. 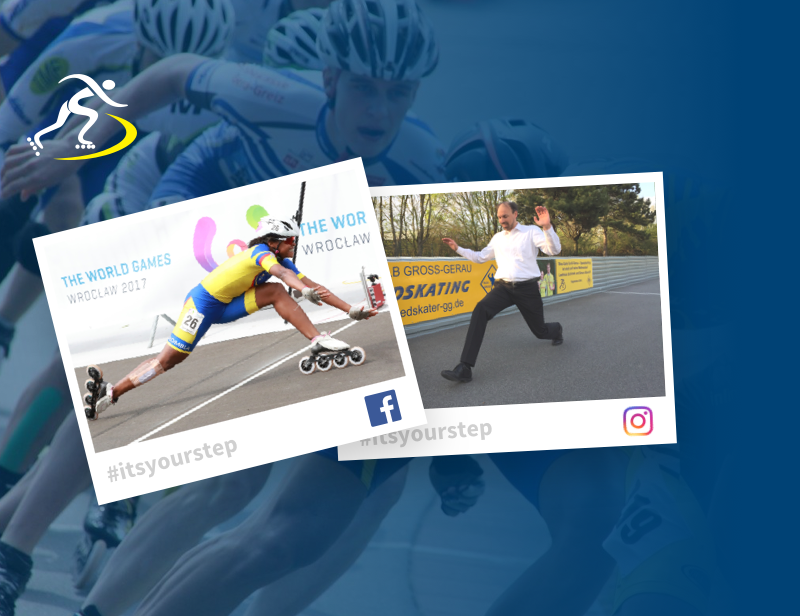 Be part of it by posting a picture of yourself doing a finishing step on our social media platforms. It does not matter if you take a picture with or without skates, in a sports or business outfit – just be yourself! Be part of it by posting a picture of yourself doing a finishing step on our social media platforms. It does not matter if you take a picture with or without skates, in a sports or business outfit – just be yourself! Please use the Hashtags #itsyourstep #speedskatingchallenge #kriterium, so we can identify you. Please check that your post is public that it can be found and shown in our gallery. Please also let us take part in the story behind the picture and your enthusiasm for the sport. Share your passion for speedskating with the community! Sticking at it pays off! In the course of our challenge we will have several milestone-tasks such as target step-pictures form national team skaters or American speed skaters. Therefore use your network to spread the tasks and activities around the globe. Let us show the world how strong the speed skating community is! The more people take part around the world the more attention our sport will receive. So let’s go and be a part of it.